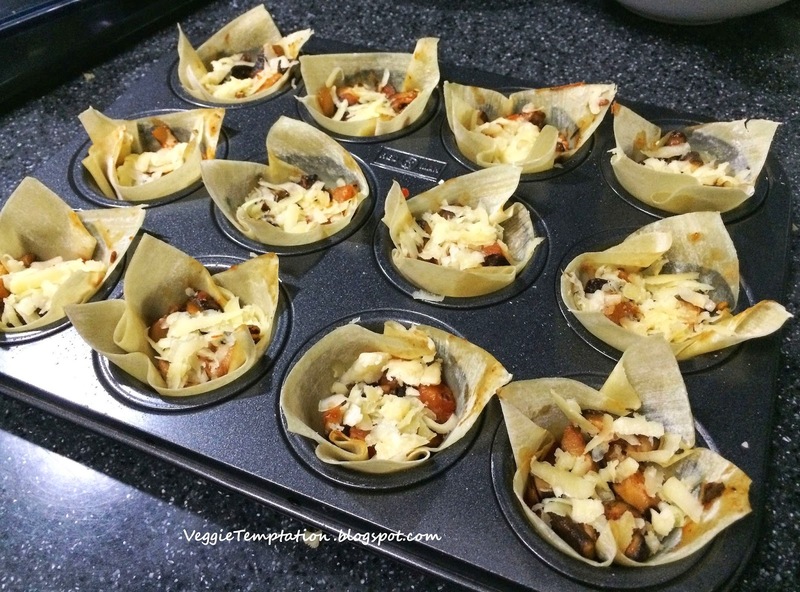 Lasagna in a muffin tin? Yes, it's possible! 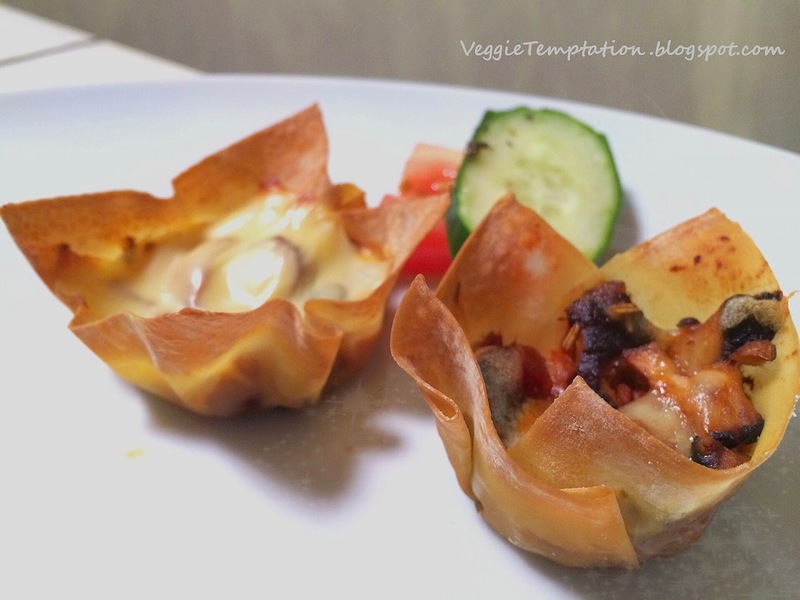 The wonton wrappers peek out over the edge of the muffin tins and get crispy and also look hip! 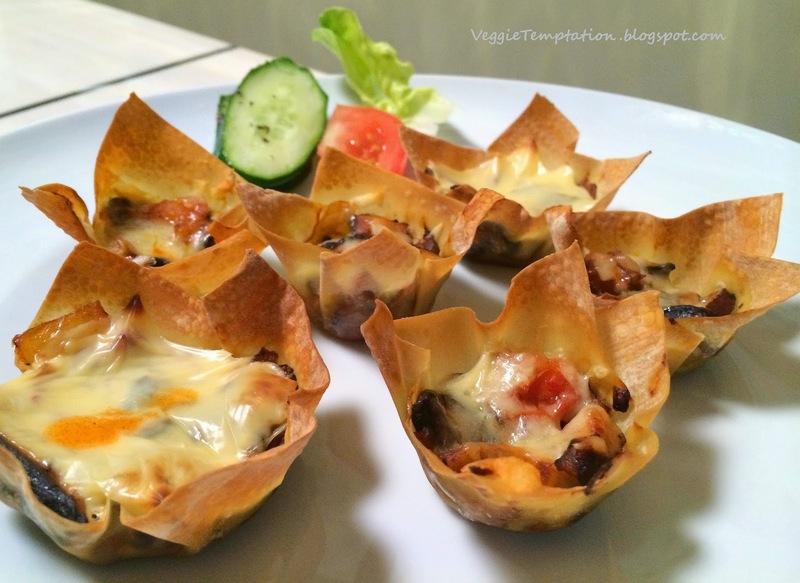 These lasagna cupcakes are so easy to make and use the same ingredients in the classic lasagna with layers of veggies, cheeses and pasta. 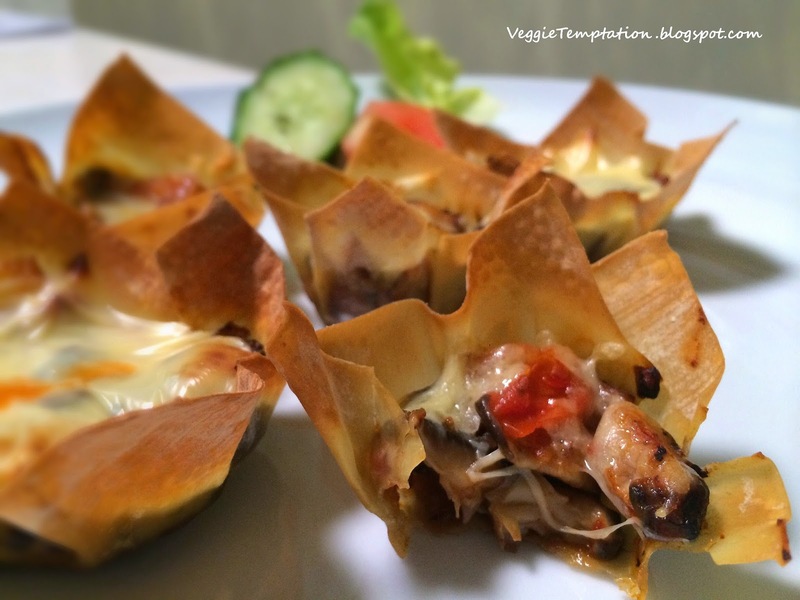 Instead of lasagna noodles, wonton wrappers are used. Now, bite into this savoury appetizer and experience a incredible contrast of texture from the crispy shell to the soft flavourful filling. 1. 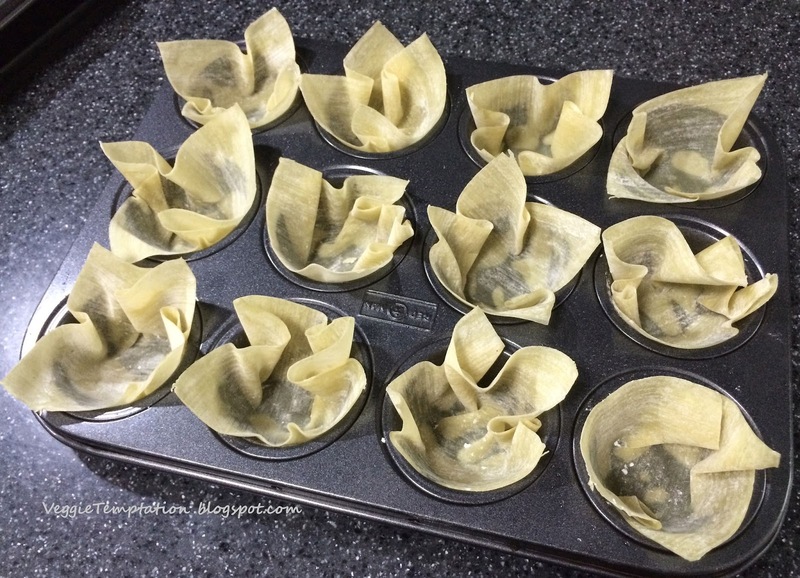 Grease two 12-cup mini muffin tin with oil or cooking spray, place one wonton wrapper in the bottom of each muffin cup. Preheat the oven to 190℃ . 2. Heat up oil in a wok or large skillet. Sauté onion and garlic until aromatic. 3. Stir in carrot, mushroom and ham and continue to stir the mixture. Add rosemary and thyme. 4. Reduce heat to medium, add water, vinegar and pasta/pizza sauce. Stir until all ingredients are all evenly coated or until liquid evaporates. 5. Taste and add salt and pepper. Spoon mixture into prepared pan with wonton wrapper. Top with mozzarella cheese. 6. Use a oven thermometer, ensure it is at the right temperature 190℃. 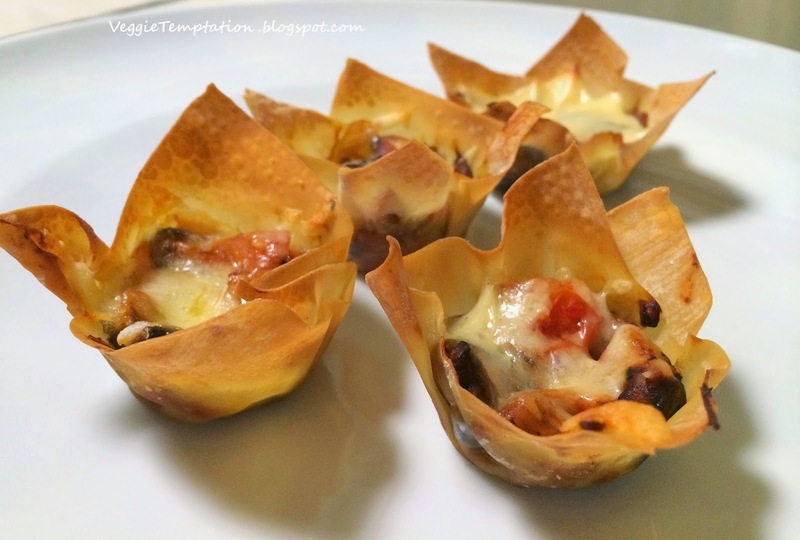 Pop it into the oven for about 8-10 minutes or until the cheese has melted and the edges of wonton wrappers are golden brown. 7. 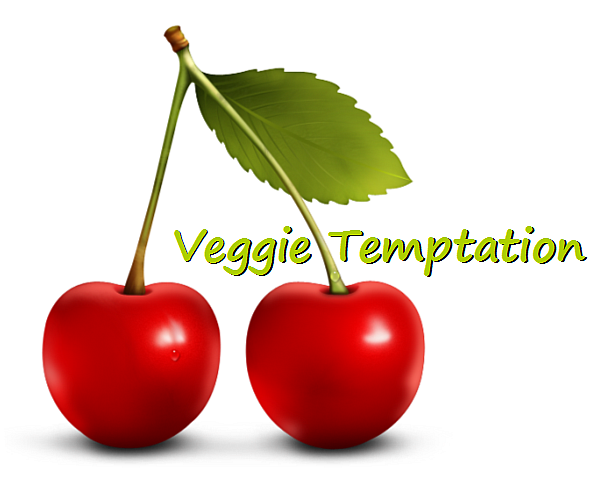 Garnish with Tabsco® sauce, serve immediately!